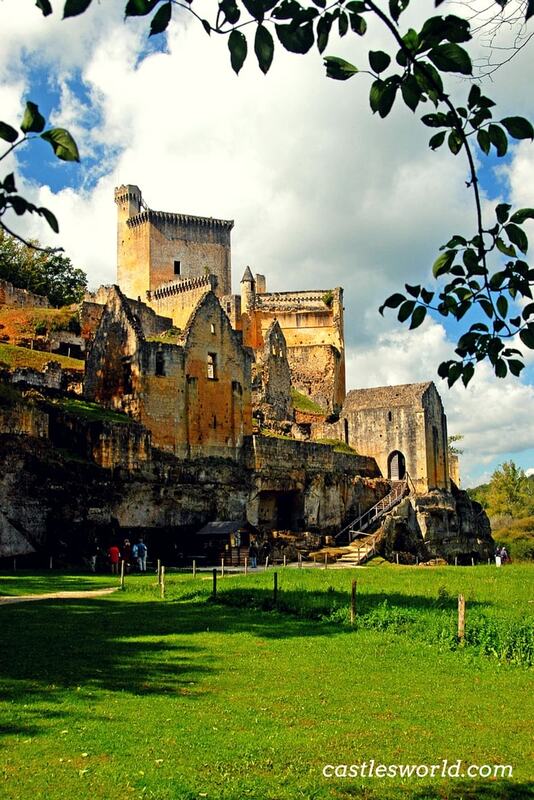 The Castle of Commarque was founded in the 12th century on a site that was settled since prehistoric times. It was probably built by a member of the Commarque family at the request of the abbots of Sarlat. 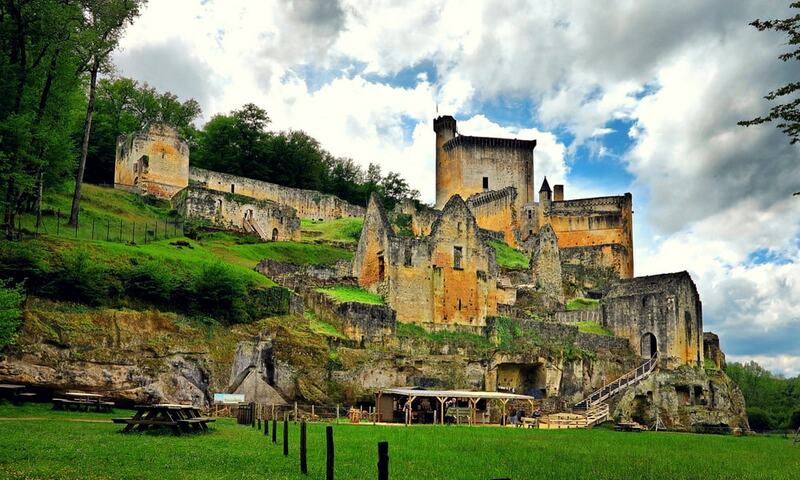 The first fortification was only a wooden tower and its primary purpose was to defend against the ambitious Beynac family. The place was carefully chosen at the crossroads of two important roads: one from Brive to Bergerac and the other from Perigeux to Cahors. Eventually, the Beynac family managed to gain control of the castle. They improved the fortifications and changed the wooden tower with a stone keep. During the Hundred Years War, the Beynacs defended the French crown. They further enhanced the castle defenses, raised the stone keep and built a series of machicolations, probably inspired by the Palace of Popes in Avignon. Nevertheless, the English were able to capture the castle at some point and held it for several years. During the French Wars of Religion, the castle was taken by the Catholics (because the Beynacs were Protestant partisans) and it suffered severe damages. It was inhabited until the late 17th century and then completely abandoned. Both the village and the castle remained hidden under vegetation for nearly 200 years. They were rediscovered only recently, in 1962, when Hubert de Commarque, a descendant of the original owners, began extensive renovations and archeological work and reopened this "forgotten" site to the public. Today, the castle is an extremely romantic spot which includes fascinating knights towers and many ruined structures carved into the rock. The dominant elements are the 12th-century keep (which was gradually improved until the 17th century) and the Great Hall. There is also evidence of prehistoric life: below the castle, there is a cave which contains a full sized drawing of a horse made by the Magdalenian man.